I've spent some time with Porsche's PDK in the past, but never quite in the way that Porsche prepared for us at their PDK push in Birmingham, Alabama. After two days of varying driving conditions, on both road and track, I needed to take everything I thought I knew and felt about PDK and toss it out the window. Here's the thing, if you haven't lived with PDK in your own Porsche, or more importantly driven it on the track, then I suggest you do the same. At least while you're reading this post. Put extremely simple, the PDK is two manual gearboxes combined into one unit. At its crux, the PDK has a sophisticated electronically controlled valve body overseeing the operation of two separate multi-plate wet-clutch packs, each with its own set of gears. One clutch activates First, Third, Fifth, Seventh and Reverse, the other Second, Fourth and Sixth. In manual mode, under acceleration, the PDK upshifts sequentially, alternating between odd and even numbered gear sets. During downshifts, however, the PDK can skip gears, even going from Seventh to Second. The PDK (which comes from the German Porsche-Doppelkupplungsgetriebe), allows the driver to shift up and down using either steering-wheel mounted paddles or the console-mounted lever. Or, if you prefer, the driver can simply leave the PDK in automatic mode and allow it to operate totally on its own. For those of you that think Porsche's Doppelkupplung insert more unpronounceable German words here (yes, PDK is muck easier on the tongue and ears) is new, guess again. What many of you may not have realized is that not only is the PDK transmission not new, it’s been part of the Porsche racing heritage for more than 20 years. 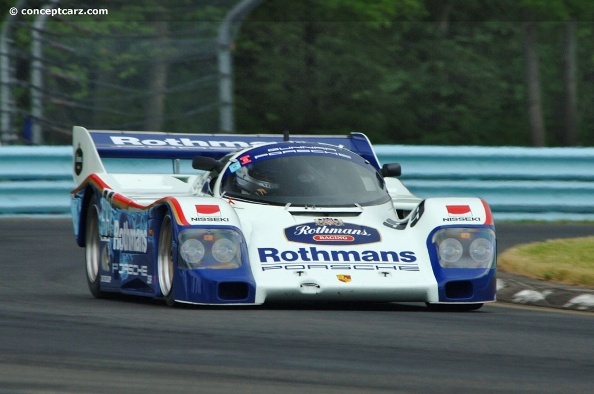 While today’s PDK transmission is a far cry from the original, the technology is a direct descendant from the PDK transmission introduced as an option on the factory race prepped Porsche 962 C in 1985. Derek Bell, who won the World Championship in a 962 with PDK in 1986, gives a great interview at automobilemag.com about his experience with the car and the transmission. SPEED. The dual clutch provides barely perceptible shift points with little to no power loss. In fact, gear changes happen in a mere 40 milliseconds. Faster than you can blink your eye by a factor of 8 and at least twice as fast as Jeremy Clarkson can come up with a new pithy comment about Porsche. This translates into more speed and faster lap times, much faster. FUEL EFFICIENCY. Yes, you read that correctly, Fuel Efficiency. When you mate the PDK system with Porsche's DFI technology you have a sports car capable of 30 + miles per gallon, that can still throw down sub two minute lap times on a challenging and technical track like Barber in Birmingham. The best part about it is you don't have to be Hurley Haywood, Patrick Long or David Donohue to do so. I'm living proof. The reports I’ve read tell of a 911 Carrera S (equipped with PDK) shaving 8 seconds from the lap time, clocked by the manually equipped model on, “the Ring,” not to mention a few tenths of a second off the zero to sixty time. Even more impressive than the track performance is the how PDK handles on the road, in traffic and cruising down the highway. Almost all shifts are seamless (more on this below) and the occasional down-shift (as the computer blips the throttle) is always nice on the ears. 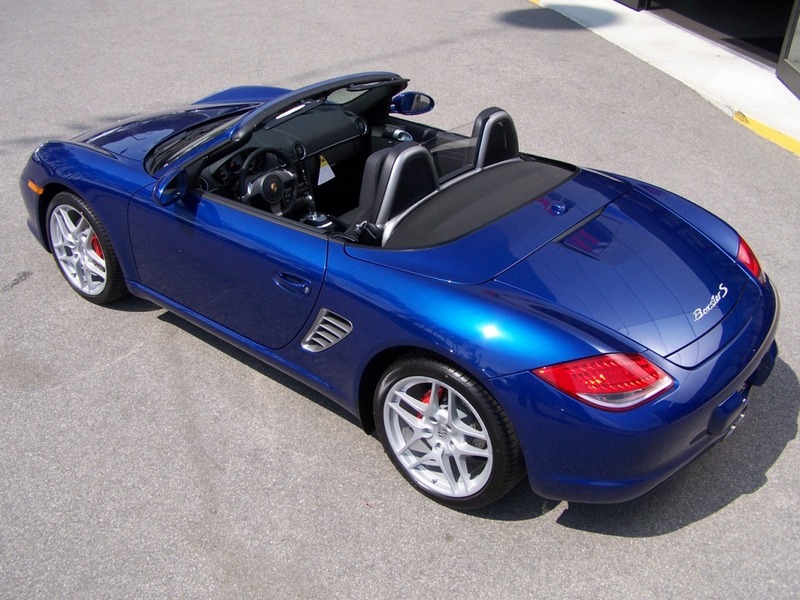 My test car, an Aqua Blue 2009 Boxster S, received a 5.1 percent gain in power and a 5.6 percent jump in torque over last year's model. Even with the additional ponies and pulling power, Porsche claims the Boxster S capable of a surprisingly thrifty 29 MPG. While I was only able to get 26 MPG out of my car, I did so while employing a fairly heavy foot (I still wanted to enjoy the car). There were others in my test group, in similar cars, whose light footed approach was rewarded with average MPG of well over 30. Let's just say they didn't get to our appointed destination quite as fast as I did. Actually, not much. I did find the PDK to lag or lug a little off the start while driving for economy. Just a brief hesitation before the car pulls away. I can only attribute this to the computer doing its best to map my every changing driving habits while at the same time delivering the best possible fuel economy. This lag or lugging was no where to be found once you exerted anything over minimal pressure on the go pedal or switched the transmission into sports mode. My only complaint, when track driving, is the location of the manual thumb shifters. Like so many other reviewers, the positioning is not necessarily intuitive and at times my big paws put too much pressure on the wheel and made a few manual shifts when I didn't intend to. I've read some reviews where others have complained about a loss of connection when driving PDK. Despite the obvious failings in comparison to PDK, I prefer a manual transmission (out of habit). However, it's indisputable that PDK is easier and faster, each time, every time. On the track, the PDK is incredibly forgiving. It makes bad drivers better and good drivers great (or damn close to it). On the road, PDK provides ease of use and great fuel economy. All in all it's the perfect solution for the weekend racer who uses the same toy to commute back and forth to the daily grind. Has Porsche Lost Their Independence? Good review, although PDK can actually be traced back 40 years – there’s a feature in the current Total 911. We’re gone gone further and got 42mpg from a PDK Carrera S – had to drive like a nun, though. The other comment I’d add, is that it’s essential to have Sport Chrono Plus with PDK. That gives you the advantage of the Sport Plus button – press that and the transmission holds low revs, allowing you to drive like a hooligan. Buggers up the fuel economy though! I’m especially interested in the 40 year part of PDK as Porsche themselves introduced it as only slightly more than 20 years old. How much time have you spent driving a Porsche equipped with PDK? I admit that the shift is not logical. However, as I spend more and more time with it, it becomes easier and easier to use. With that said, you would think that Porsche would have developed something more intuitive that doesn’t take so much time to learn. However, in full auto mode (where you’re not going to be shifting at all), the PDK is lightning fast, makes no mistakes, and will beat a similarly equipped manual version of the car each and every time. That’s a statement all on its own. I hear you. I’m hoping to get my hands on the Turbo with PDK for a few days or so in order to do a review. I’m also looking forward to eventually driving the Panamera. If ever there was a car meant to have the PDK, the Panamera is it. I don’t think it will be long before we see PDK offered in some of the track specific cars. It’s just too damn good. @Kim, I’m with you too. Intellectually, I know that PDK is better. The technology is better, the speed is faster, etc. etc. However, I still like my old manual gearbox and the tactile response you get from it. Turbo with PDK’s not been announced yet. It’s still got the nasty old Tiptronic. @Phil, probably splitting hairs, but my understanding is it has been announced, meaning in the works, just not available yet…. I don’t think there has been an official announcement (correct me if I’m wrong). However, I believe it’s due about September time. PDK on a Turbo will be very impressive. Nice review! Any thoughts on the balance of the mid-engine car vs. your rear engine 993? Just an observation, but all the “talk” of the shift buttons on the wheel… is by pundits that don’t own cars with them. However, it’s something you would learn if you drove one for me than two days. Personally, the column mounted paddle shifters are wrong, as you know have to take a hand off the steering wheel in a turn to reach one. On the track, you might be able to reach them but corners on the street are much tighter requiring more steering wheel input. @You mentioned turbo with PDK?? is it available already : O? Can’t wait to see that! My only problem with the position on the wheel is the fact that with my meaty hand, I was making downshifts when I wasn’t planning on it. However, the PDK was so quick to correct, you couldn’t even tell. Turbo PDK is still just one of those vicious internet rumors. However, I think this one has some teeth and we shall see it soon!! With regard to PDK, lightning fast shifts, nothing weird about them just a little less than intuitive if you want to use the paddle shifters. However, why even bother. Just let it do its thing!! Nice job as always – not afraid to speak the truth whilst others bloviate. I believe that most purists like to do the 3 pedal driving because they crave control. The PDK option will challenge them as it provides for control and performance – faster than they can do it themselves. Can’t wait to try it – probably won’t buy it – at least for a few more years! I love this concept and I think it is a great design. Faster gear changes and better fuel economy. My only complaint is that the more sophisticated the cars get the less fun they become. I hear you. However, in this case, I have to disagree. I’m not an accomplished track drive. I might like to think I am, but I’m not. PDK really lets me focus on driving and experiencing the track vs. worrying about my shift points, etc. Some might say this is blasphemous, etc., but I like being able to experience my time on the track and in my mind, PDK enhanced that.